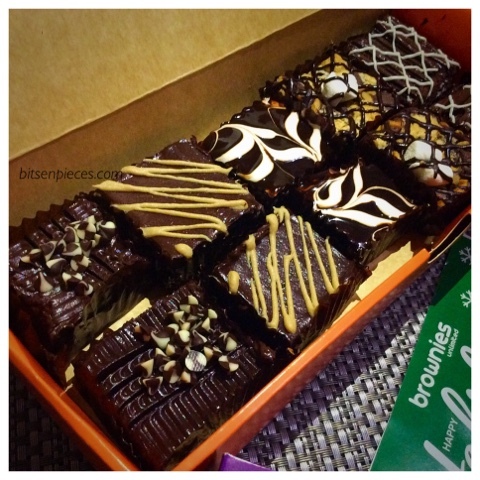 One of My Kind of Brownies from Brownies Unlimited! This holiday season you can indulge your sweet cravings for Brownies Unlimited. One of my favorite brownie store which sells a variety of toppings in brownies plus they is so affordable! 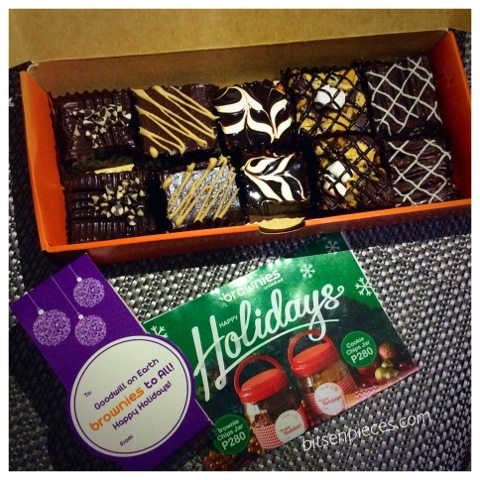 Brownies Unlimited Holiday boxes come in a very cool holiday orange boxes with holiday gift tags. If you ran out of ideas for Christmas gifts either personal gifts to friends and families, this is also a great gift idea for companies Christmas token giveaways. 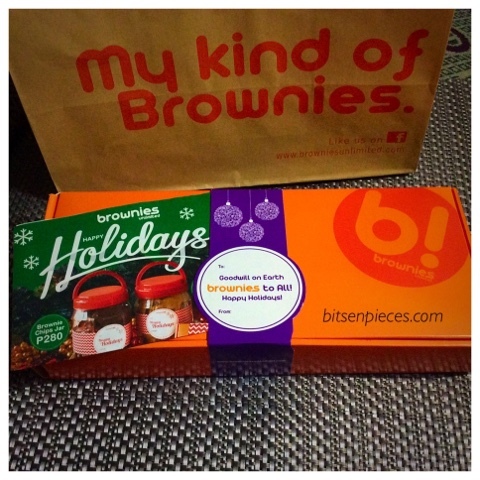 For the price of Php150 for the box of 10, you can get a delicious brownie treat for P15 each square. This is just enough to satisfy that brownie craving I had for days now. This is best served with your favorite coffee like what we did last night, or a hot cup of tea or a warm glass of milk. 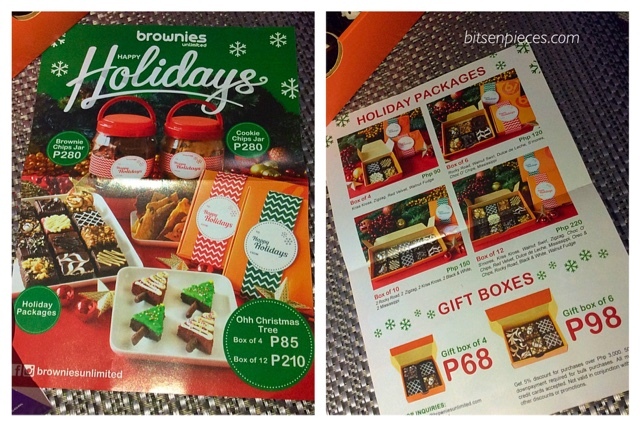 You can check out Brownies Unlimited Holiday Packages/ Gift Boxes guide on the flyer. Brownie boxes range from P68-P220 also the Happy Holidays Christmas Holidays treats such as The Ohh Christmas Tree box of 4 P85 and Box of 12 P210, Brownie Chips Jar P280 and Cookie Chips Jar P280. From all the choices in the list will you be getting one? 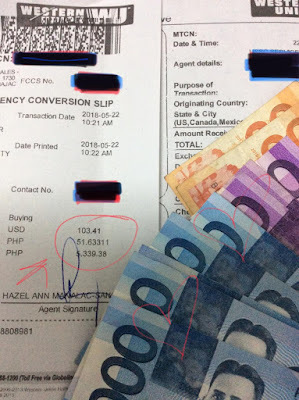 disclaimer: This is not a paid post, the product was bought at SM City Olongapo Brownies Unlimited branch. 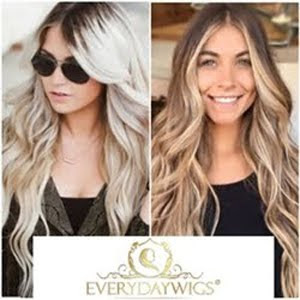 For product review contact me at magnet972@gmail.com. 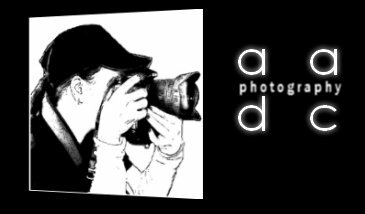 I would be glad to make an honest review of your product.